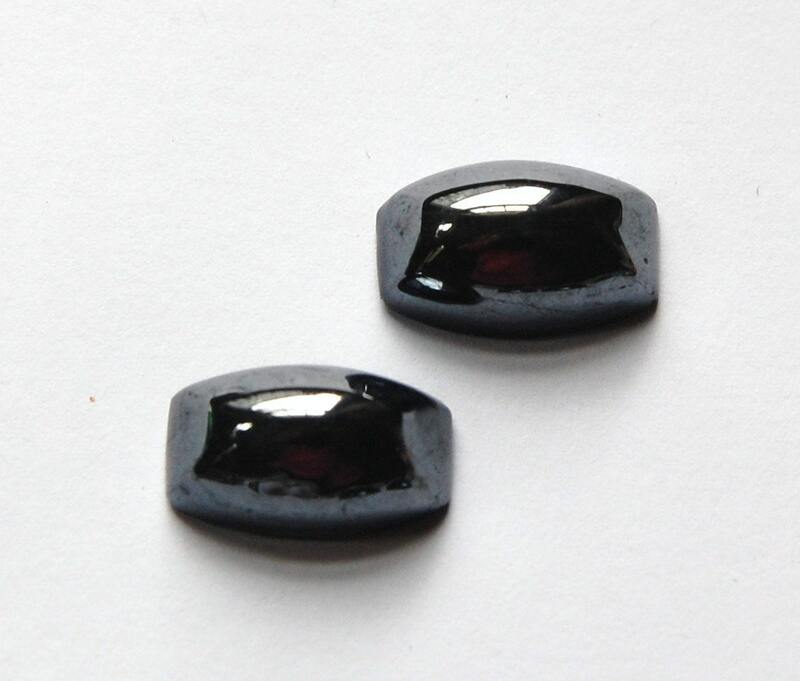 These are vintage hematite glass cabochons. They are domed rectangles and measure 20mm x 13mm. You will receive 2 cabs. Beautiful, unusual, stunning. Best supplies on Etsy and super fast service. Great purchases, timely shipping! Thank You!